In real estate terms, encroachments are intrusions onto a property. Older neighborhoods in Hawaii often have encroachments because the methods of measuring for land surveys decades ago were not as accurate as current methods are. Encroachments commonly involve walls. For example, a homeowner constructs a wall along the perimeter of his property, believing that the wall is inside the property lines. Later, a survey is performed and it is found that the wall crosses the boundary and encroaches into the neighbor's property. For residential properties in Hawaii, an encroachment of six inches or less is considered "de minimis". 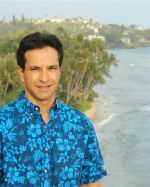 For purposes of buying and selling real estate in Hawaii, de minimis encroachments do not require encroachment agreements by statute. The de minimis law was enacted by Hawaii's legislature in 1997. Prior to that, any measured encroachment would require an encroachment agreement to protect the owners of encroaching properties along with the the title companies. While the de minimis law reduces the number of encroachment agreements filed, note that a neighbor still has the right to tear down an encroachment going onto his property if an encroachment agreement is not in place. So if a wall encroaches onto a neighbor's property by one inch and there is no encroachment agreement, the neighbor can remove that one inch of wall. An encroachment agreement is a document that describes the encroachment and names the two parties. The party of the first part is the property owner with the encroachment. The party of the second part is the encroached neighbor. The agreement states that the neighbor allows the encroachment until the first party removes it (by demolishing a wall, for example) or until the encroachment is otherwise destroyed. If the first party decides to tear down the wall and rebuild it, the new wall should not encroach. If a wall falls apart by age, earthquake or other means, then again the first party is not allowed to encroach if and when he builds a new wall. Encroachment agreements must be signed by both parties and notarized, then recorded at the bureau of conveyances to take effect. The agreements will show up on title reports so buyers will have notice when purchasing properties subject to encroachment agreements. The encroachment agreement document provides for termination of the agreement. Since the agreement is recorded with the bureau of conveyances, termination will also involve creating a document, having both parties sign and sending it to the bureau. The cost of preparing the termination paperwork will be paid for by the first party if the encroachment is removed by the first party or destroyed (not by the second party). If the second party removes the encroachment, then the first party does not have to pay for preparing the termination agreement. Does My Property Need an Encroachment Agreement? Encroachments are rarely an issue while you're living in the same house with the same neighbors for many years. If your house or a neighbor's is sold, a survey is usually performed and then encroachment agreements may be important. Usually, friendly neighbors sign encroachment agreements without any compensation. If you're planning to sell your house and the land hasn't been surveyed in many years, it would be a good idea to have a survey done in the early stages of the home selling process. This will provide time to determine if there are encroachments and whether there's a need for an encroachment agreement. If your property has an encroachment and your neighbor refuses to sign an encroachment agreement, the buyer can: 1) cancel the purchase or; 2) sign an indemnity agreement with the title company, basically acknowledging the encroachment and agreeing not to hold the title company at fault. The cost of a survey averages less than $1,000 for Oahu homes. It's worthwhile to get it done sooner to avoid delays later on, when your house is in contract. Do All Properties Require a Survey? No. Condo and townhome purchases do not require surveys because the buyer is purchasing a part of a building and a share of the land. And newer subdivisions, such as Ewa by Gentry and Ocean Pointe usually have fences that were erected by the developers. Homeowners receive plot plans, which are basically surveys done by the developers. If the original walls are still in place and the plot plan is available, a survey can often be omitted, unless required by the buyer's mortgage company. What If a There's an Agreement for a De Minimis Encroachment? If you are the benefiting (encroaching) party, it is to your benefit to keep the encroachment agreement alive. Remember, even if your encroachment is de minimis, your neighbor has the right to remove the encroachment UNLESS you have an encroachment agreement. If you are the encroached party, you may want the encroachment agreement removed to "clean up" your title report. However, an akamai neighbor probably won't agree to it. Why risk having their encroachment removed if, later on the two neighbors have an argument?